Love them or hate them, the gaming laptop and notebook space has never really lacked for so-called ‘halo’ or hero products. These devices, often prohibitively-expensive, aren’t really selling themselves with value in the most traditional sense. Rather, they’re selling you on the future - and the value of getting a piece of that future ahead of everyone else. Even if the advances these halo products make won’t trickle down to more affordable offerings for a few years, they’re still pushing the conversation and expectations accorded to the category forward. Something that more-than-not often benefits all consumers not just those willing to spend the big bucks. 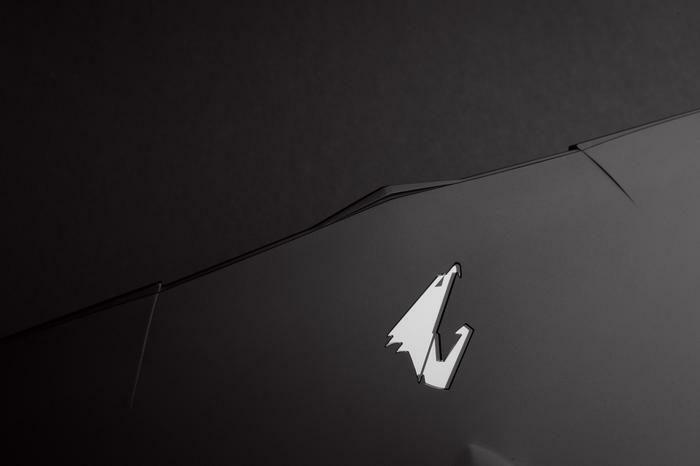 Gigabyte’s new Aorus X9 fits into this context without too much of a struggle. To handily reuse a phrase from another gaming laptop review, it’d be easy to talk this down as just another glowy-death-machine that’s travelled back in time from the future to show us all where the bar for high-end gaming laptops should be set. Still, when going beyond tomorrow looks this good, you’ll want to sit up and pay it more than just your attention. The Aorus X9 is a gaming laptop with a 17.3-inch UHD (3840x2160 pixels) IPS display with G-Sync and 60Hz refresh rate. Like Aorus’ other gaming laptops, it comes with a X-Rite Pantone display color certification plus support for a 100% Adobe RGB color gamut. There’s also an optional upgrade available that boosts the picture quality to QHD, refresh rate to 120Hz and cuts response time to 5ms. Under the hood, the X9 is powered by an unlocked Intel Core i7-7820HK processor, 32GB of RAM (2x16GBGB DDR4-2400) and a pair of Nvidia GTX 1070 graphics cards running SLI (8GB+8GB GDDR5) . Out of the box, it runs on either Windows 10 Home or Pro and, in terms of on-board storage, it boasts a M.2 PCIe 512GB SSD drive. It’s also got a KillerTM Wireless-AC 1535 network adapter, support for Bluetooth 4.1 and even packs in a ESS Sabre Hi-Fi DAC. Last but not least: the ports. The Aorus X9 features 3 USB Type-A ports, 2 USB Type-C ports, 3.5mm audio + microphone inputs, an ethernet slot, MiniDisplayPort and HDMI outputs.